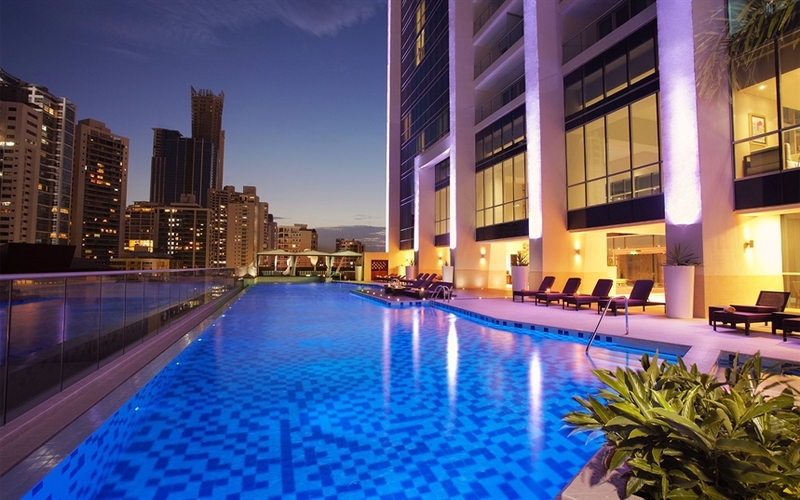 At Hard Rock Hotel Panama Megapolis, you've got an all access pass to enjoy a futuristic tropical oasis right in the heart of Panama City. We invite you to enjoy the VIP treatment while lounging in a stylish cabana, or put on your suit and dive right in to the infinity pool. There's a reason the words "pool" and "party" go together in perfect harmony. 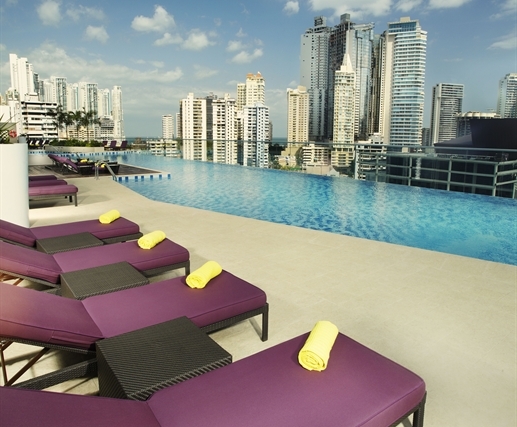 Float on in our modern pool, overlooking the incredible Panama City skyline. It’s a beautiful and unique view within the downtown landscape. Whether you want to get wet or just enjoy a drink poolside, the Float Pool Bar is one of the shining jewels of our property. 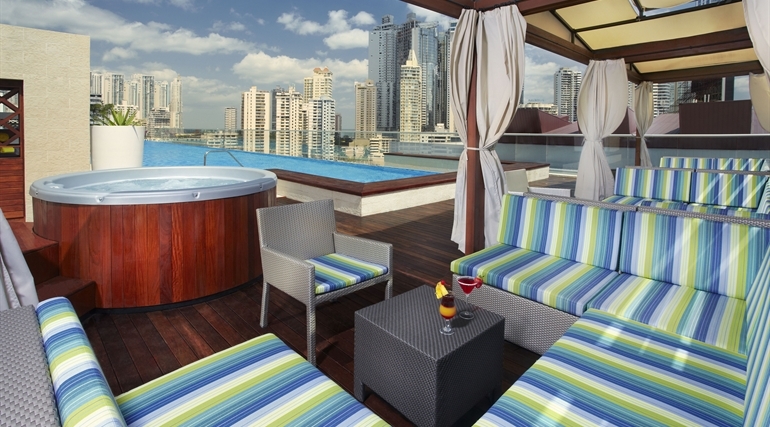 And things just get better at night, when you can watch the gorgeous Panama City skyline twinkle with lights from our chill poolside while you enjoy a cocktail and curated tunes.